For the best Alfa service Melbourne customers trust, European Vehicle Services is the solution. We have more than 20 years’ experience servicing and repairing vehicles across Melbourne and have gained a great reputation with our low price and with exceptional quality from every job we complete. This brings customers back each time they require a car service and we’re happy to help. For every car repair or service, you can be sure we only use official Alfa Romeo parts, giving you the confidence that what’s in your vehicle belongs there. We have the latest testing and diagnostics equipment to identify any problems and fix them quickly, getting you back on the road at a low cost to save you time and money. As such, we’re a cheap alternative to many companies offering similar services. We are independent from large chains but ensure our mechanics know exactly what they’re talking about. We’re constantly improving our knowledge of Alfa Romeo vehicles by studying engines, software, new updates, design characteristics and more. This means we know how to get the best out of your vehicle every time you bring it for a car service. While our specialist mechanics provide the most efficient Alfa service in Melbourne, we are also able to help vehicle owners from brands such as MG, Porsche, Land Rover, Saab, Renault, Volvo, Triumph, Citroen, Audi, BMW, Peugeot, Jaguar, Mercedes, Skoda and Volkswagen. 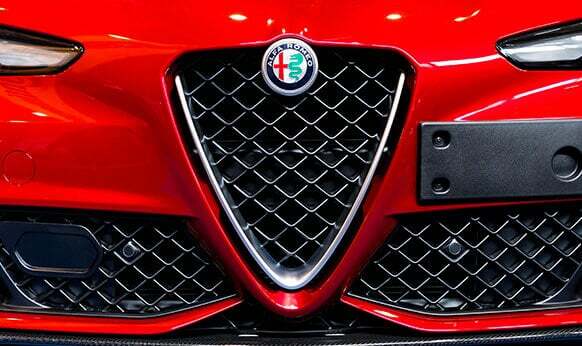 To learn more about our Alfa service in Melbourne or to book an appointment, speak to a member of team at European Vehicle Services now by contacting us online. Have you been searching for a team of auto technicians and mechanics who specialise in maintaining and improving vehicles made be Alfa Romeo? At European Vehicle Services we are the team you’ve been searching for! Thanks to our detailed, affordable, and high-quality Alfa service Melbourne motorists can extend the life of their vehicle without breaking their budget, while also being safe in the knowledge that their car is safe for the roads. So, if you are in need of the “best auto care service centre near me” call us today on 03 9329 7559.